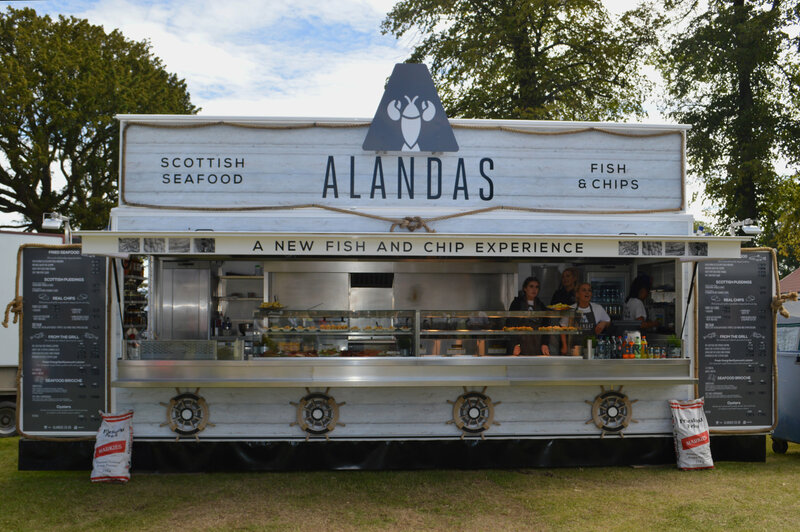 East Lothian’s Alandas Scottish Seafood is representing the region at Assembly’s Edinburgh Food Festival, which takes place at Assembly George Square Gardens, Edinburgh, 25-29 July 2018. 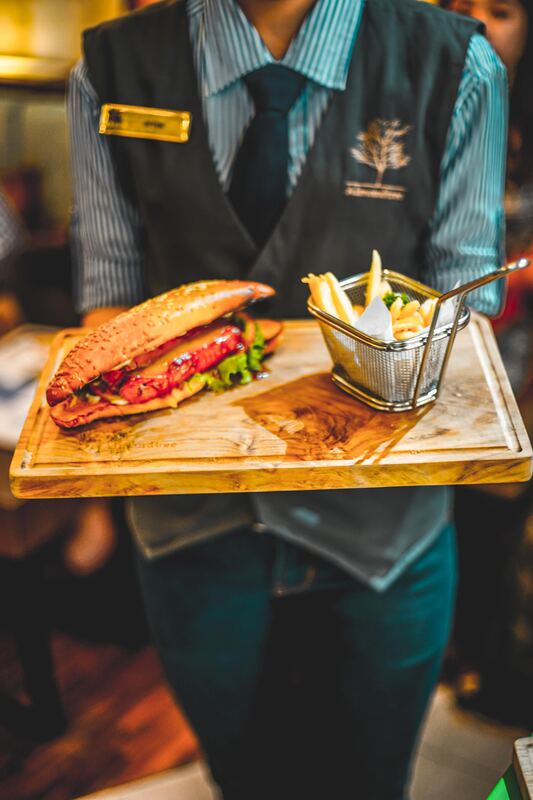 Alandas, which is based in beautiful Prestonpans, offers a fish and chip experience; where fresh prawns, beautifully cooked salmon and mouthwatering fresh oysters are served every day. All of the seafood used by Alandas is caught daily in local Scottish waters, including their freshly caught lobsters. Not only that, but Alandas tasty chips are made from locally-sourced potatoes, ensuring the flavour is perfect time and time again. Alanda Black from Alanadas, said: “We’re really looking forward to bringing taste of East Lothian to the Scottish Capital as part of this year’s Edinburgh Food Festival. The Edinburgh Food Festival is free of charge and welcomes visitors of all ages, with stallholders offering everything from ice cream and fish & chips, to street food, pies and chocolate. Festivalgoers will also be entertained will be a series of talks and demos taking place in the gardens’ beautiful Piccolo Tent. Taking to the stage to talk all things food and drink is a range of key industry figures; including Author and Whisky Consultant, Blair Bowman. New for 2018, Edinburgh’s Ting Thai Caravan will be cooking up a storm with authentic Thai and South East Asian street food. They will join over 20 other top local food and drink producers from and across Scotland, including East Lothian’s Alandas, during the 5-day event. Edinburgh Food Festival has gone from strength to strength since its launch in 2014, hosting top industry figures such as Edinburgh’s Carina Contini and Neil Forbes, as well as Shirley Spear from The Three Chimneys on the Isle of Skye. The event welcomed over 25,000 visitors in 2017. Entry to the festival (and the talks) is free and non-ticketed. For talk times and further information visit www.edfoodfest.com. Follow on Twitter, Facebook and Instagram with @EdFoodFest #EdFoodFest2018. ScotRail trains have been branded with the rainbow symbol to mark Pride Edinburgh this weekend. 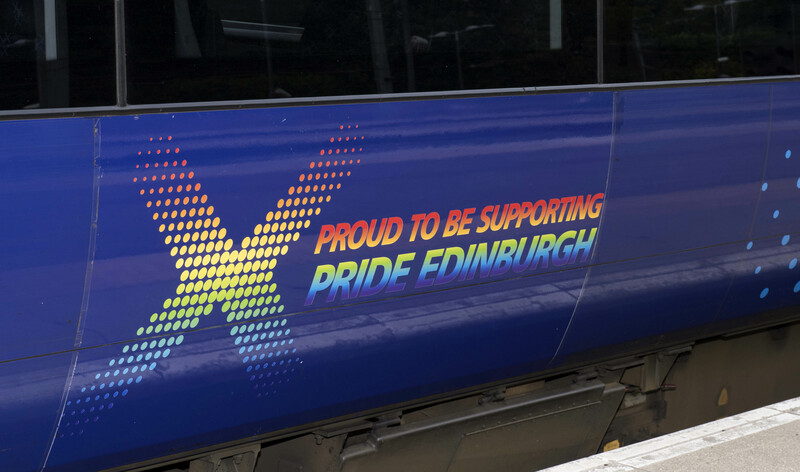 Two ScotRail Class 170 trains have been branded with Pride’s iconic rainbow symbol in support of Pride Edinburgh, which takes place tomorrow (Saturday). The trains will be in service across the country, including on the popular Edinburgh – Glasgow Queen Street main line, and the Borders Railway. The ‘Pride Trains’ are the latest demonstration of the ScotRail Alliance’s support of Scotland’s LGBTI community. “I’m thrilled to support Pride Edinburgh with our specially designed rainbow trains. “At the ScotRail Alliance we want our workforce to reflect the diversity of our customers. We’re building the best railway Scotland has ever had, and we need the best people to do this. This brand-new award is designed to bring out the inspirational stories of young people aged between 16 and 26 who own, work or study within businesses in the food and drink sector, and are driving success within the Scottish food and drink industry. 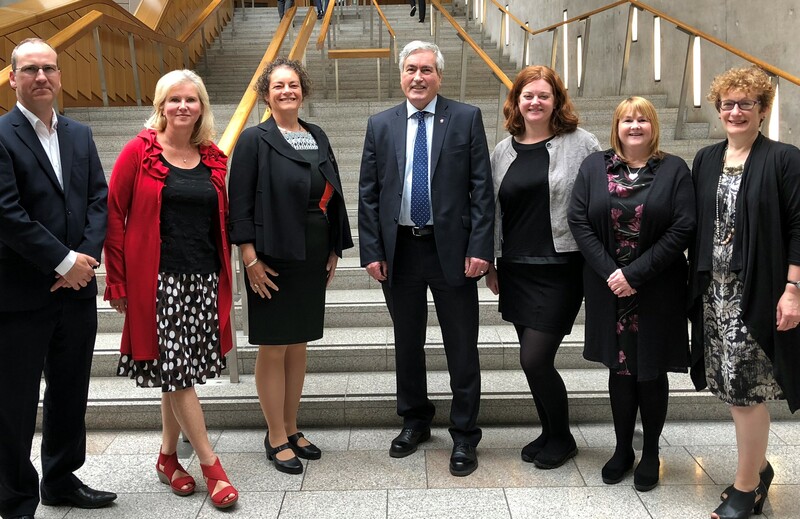 Iain Gray MSP and Martin Whitfield MP have met with local representatives of the National Farmers’ Union Scotland (NFUS) for any update on topical issues, including the potential implications of Brexit for farmers in East Lothian. The county politicians met with Willie Thomson and Kelvin Pate at Wheatrig Farm. 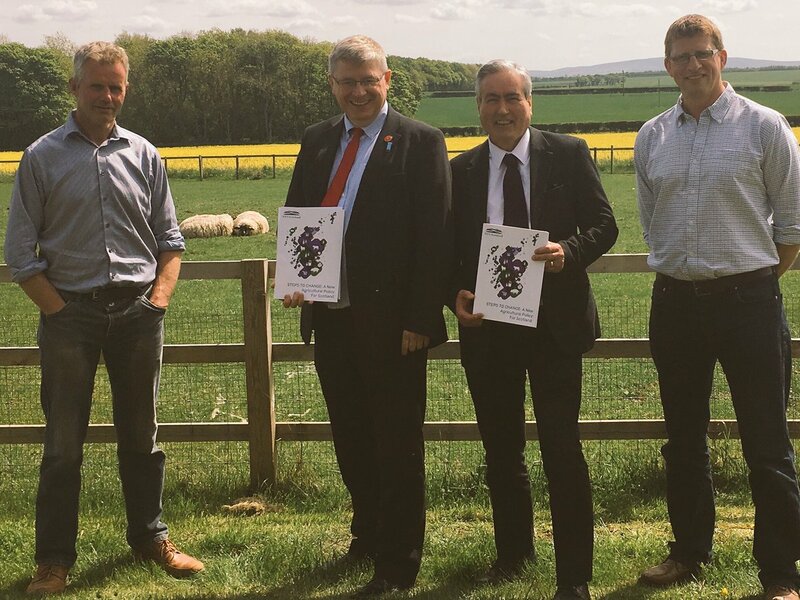 One of the matters discussed was Steps for Change, NFU Scotland’s discussion document on the need for a new agricultural policy for Scotland ahead of Brexit. “Farming remains a crucial part of East Lothian’s economy and I try and have regular meetings with local farmers’ representatives. NFU Scotland does a fantastic job representing farmers and standing up for rural interests and it was good to catch up with Willie and Kelvin. “East Lothian’s agricultural sector is such an important part of the local economy and jobs. The sector currently faces many challenges, including adapting to life outside the European Union, and I was pleased to meet with Willie and Kelvin to talk about some of these issues. Last month, specialist food and drink insurer, NFU Mutual, joined forces with industry leadership organisation, Scotland Food & Drink, to create a brand-new award, designed to bring out the inspirational stories of young people aged between 16 and 26 who own, work or study within businesses in the food and drink sector, and are driving success within the Scottish food and drink industry. “With this being the Year of Young People, I was incredibly keen that we afforded young people even greater recognition by working with NFU Mutual to seek out the most inspiring young foodies in Scotland. Scottish Food & Drink Fortnight this year will be a celebration not only of Scotland’s wonderful produce and outstanding producers but also of those people under the age of 26 who are helping to secure an exciting future for the food and drink industry in Scotland. The NFU Mutual and Scotland Food & Drink Inspirational Young Person Award 2018 is open for entries until 31st July 2018, with winners announced in September 2018. 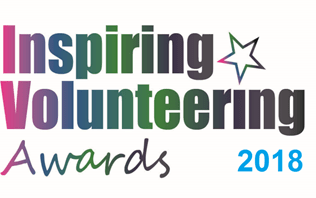 Entries, which should comprise the submission of up to 750 words, can be submitted online at http://fooddrinkfort.scot/get-involved/nfu-mutuals-inspirational-young-person-award-2018/ or by clicking the relevant button on http://fooddrinkfort.scot/. Any individual between the ages of 16 and 26 who owns, works, or studies within a food and drink related business, organisation or institution can be nominated or enter on their own behalf. The winner will receive £500, with the second and third place finalists receiving £300 and £200 respectively.